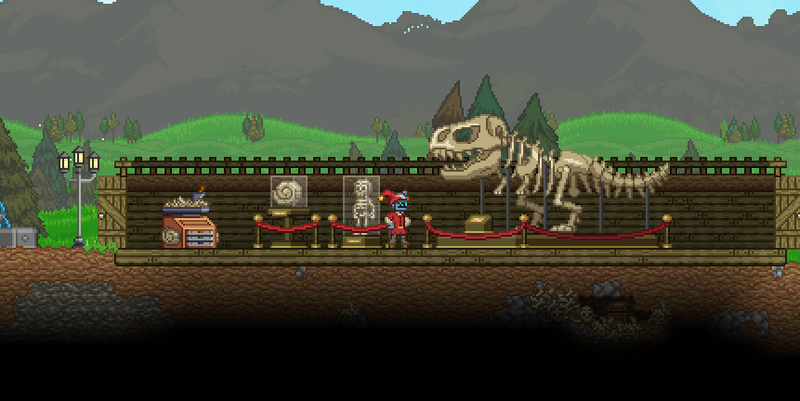 The new Fossil Station lets you craft stands for fossils and tools for excavation. Let’s go looking for some! You’ll have to search underground if you want to find any, of course. Looks like we’ve come across some skeletal remains! 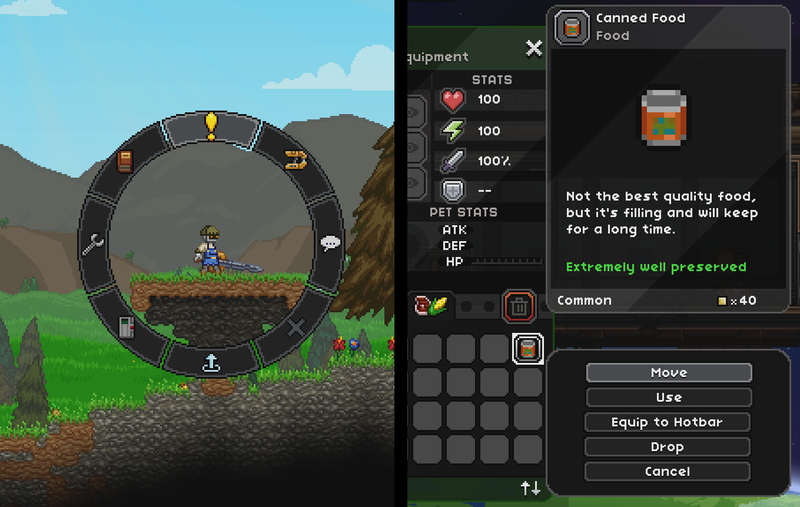 Use the tools from the Fossil Station to excavate them, which is done with the minigame we showed off in the last post. 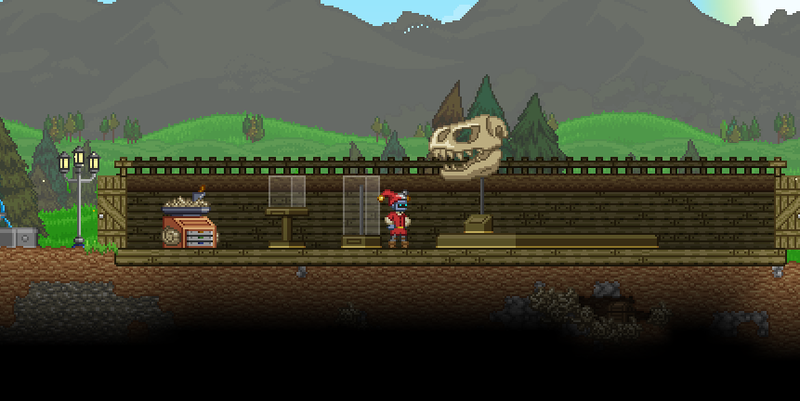 We found a T-Rex skull?! 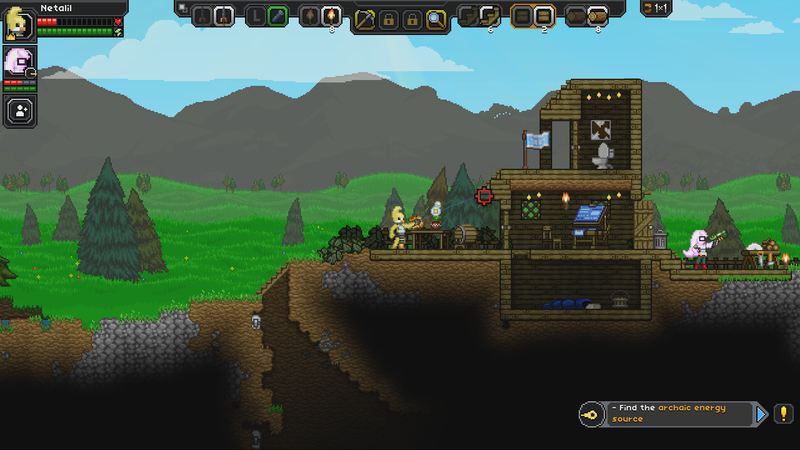 How come there are T-Rexes on distant alien planets anyway? No time for questions, lets display this in our museum! There are three different stand types for three different size categories of fossils. To complete some fossils you’ll need to find multiple parts. 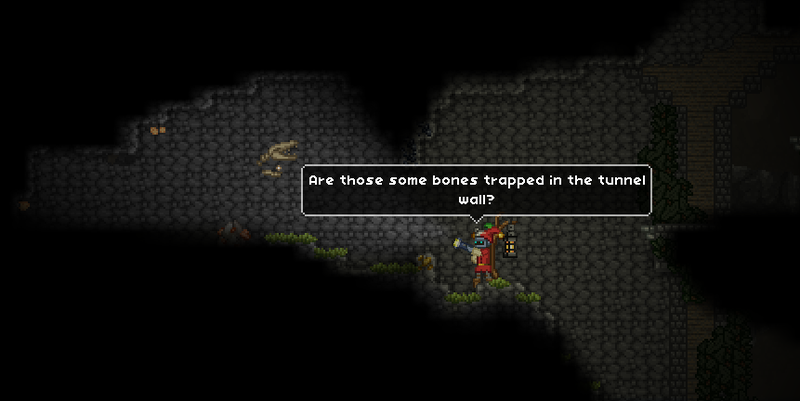 Some fossils might be familiar to you but others will be totally alien, like many things in the Starbound universe! 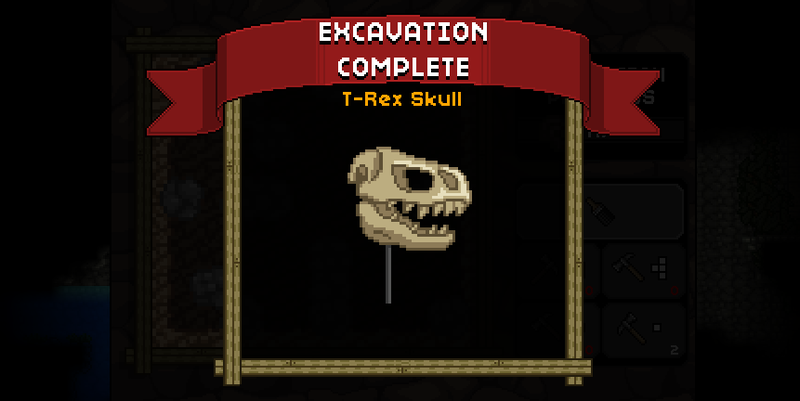 I’m sure that there are people who would be willing to pay a pretty penny for a completed skeleton, too. Better get digging, then! 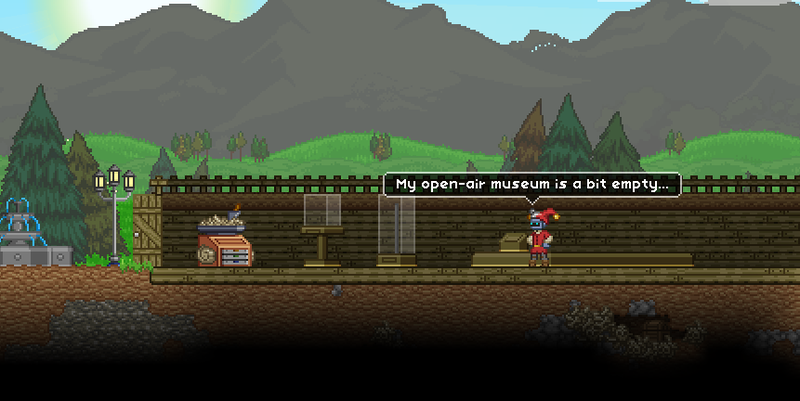 ← 5th January – It belongs in a museum!